Now O.E. approved for use in all 50 states, SLP 1900 Supercharger Systems are part of the TVS (Twin Vortices Series) line of superchargers, utilizing Eaton’s TVS technology rotating assembly to deliver more power and better fuel economy in a smaller package. 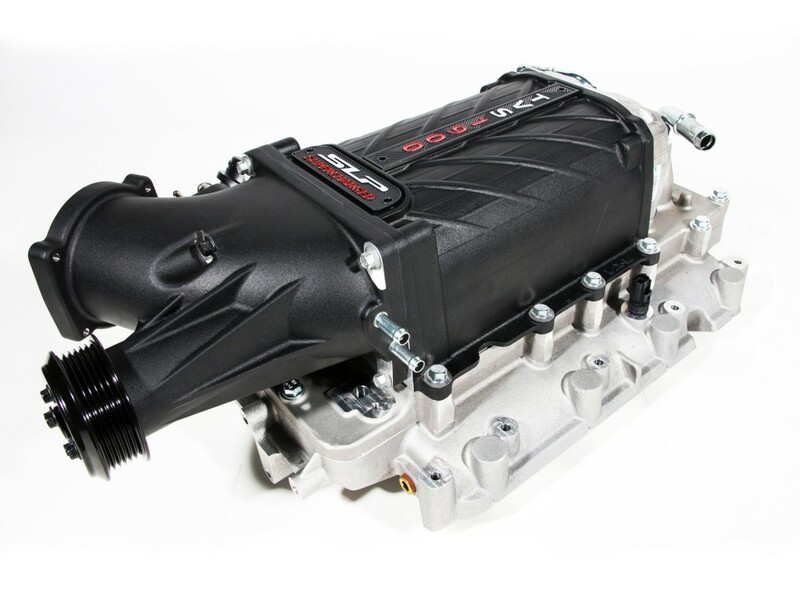 The SLP Supercharger System for 2014-2016 GM Trucks powered by 6.2L V8 engines boosts performance of the direct injected high-compression platform to 590 horsepower from the stock rating of 420 horsepower. On trucks equipped with the 5.3L engine, the end result is a whopping 520 horsepower and 550 lb-ft of torque. Click on the dynamometer test result charts below for more information on the 5.3L and 6.2L SLP Superchargers respectively.